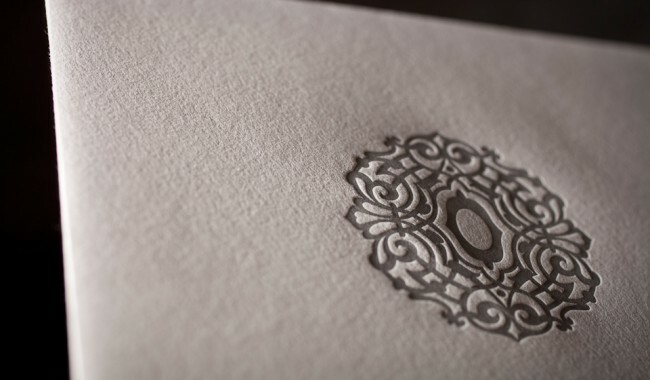 calligraphy wedding invitation in folder. designer: Amy Graham Stigler and Lindsy Talarico. 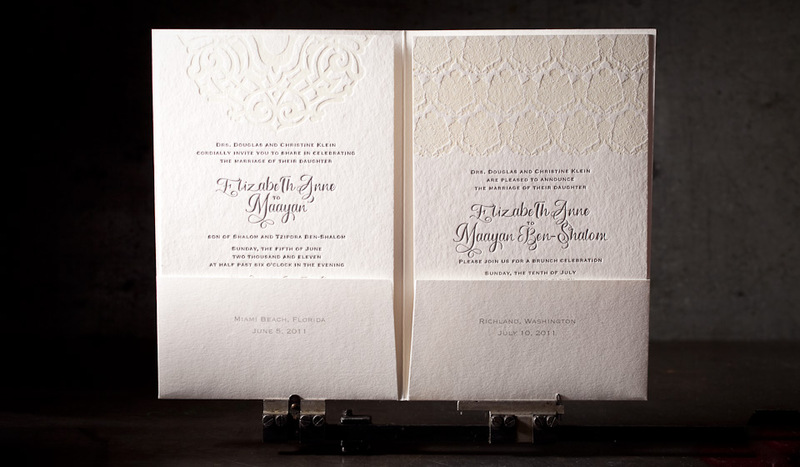 client: Aileen Invitations, Miami Beach, Florida. letterpress printing. Smock white 2-ply + 1-ply bamboo paper. 2 letterpress inks (pewter CG11U + blind deboss). printed on our Heidelberg Windmill 10 x 15 and our KSBA Heidelberg Cylinder. 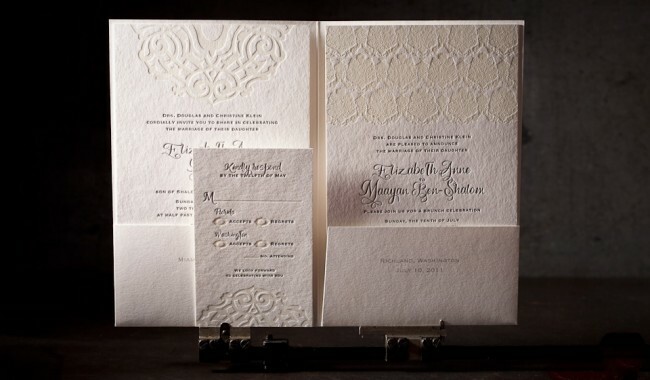 two versions of the letterpress invitations (5.625 x 8.125), a reply card, two versions of inner envelopes, a custom folder (die cut), reply envelopes, outer mailing envelopes. this job combined invitations for two events – a June wedding in Miami Beach, Florida and a July brunch celebration in Richland, Washington. 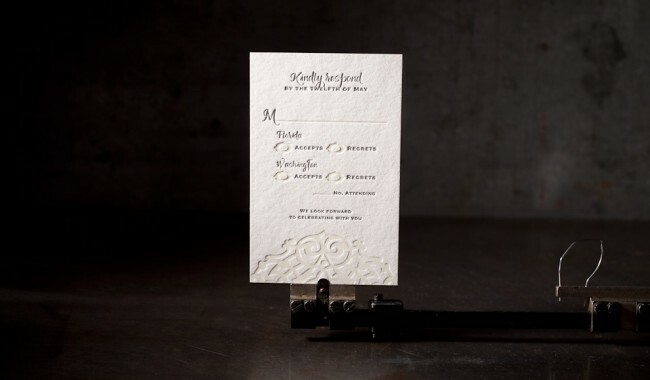 the invitations were slipped into letterpressed envelopes that were then displayed side by side in a custom designed, letterpress printed folder.